Cold Shoulder Trend: Thumbs Up or Down? New Spring Take on Avocado Toast. Signet Rings: Thumbs up or down? All Natural Laundry Detergent That Works! 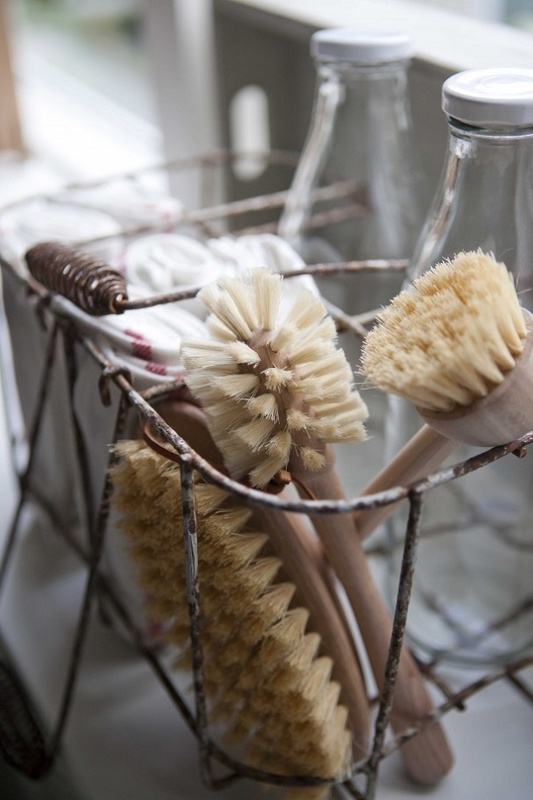 In her book Simple Matters, Erin wrote about her love for wooden kitchen utensils and cleaning brushes. She believes that a great wooden tool can be more beautiful and durable than their plastic counterparts. Ever since reading about her approach of filling a home with only meaningful and beautiful things, I started to really pay attention to what I bring into our space. Recently, among other things, I exchanged a few of ours kitchen plastic utensils for wooden ones that, with a bit of care and love, will hopefully serve us for years to come. 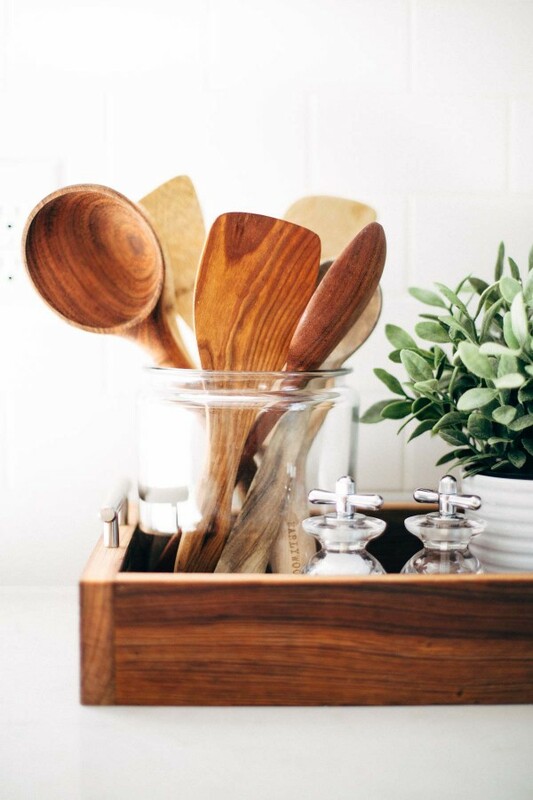 So below are 15 wooden kitchen tools that will make any kitchen feel more special and certainly simpler in the most beautiful way. 1. rolling pin - 2. jobillo wood serving spoon - 3. baker's spoon - 4. coffee wood cooking spoon - 5. table brush set - 6. Swedish pan brush - 7. butter knife - 8. scrambled egg utensils - 9. walnut nesting bowls - 10. dish brush - 11. flour spoon - 12. set of cheese boards - 13. flat saute tool - 14. 'hang around' cooking set - 15. apple and pear pinch bowl set. 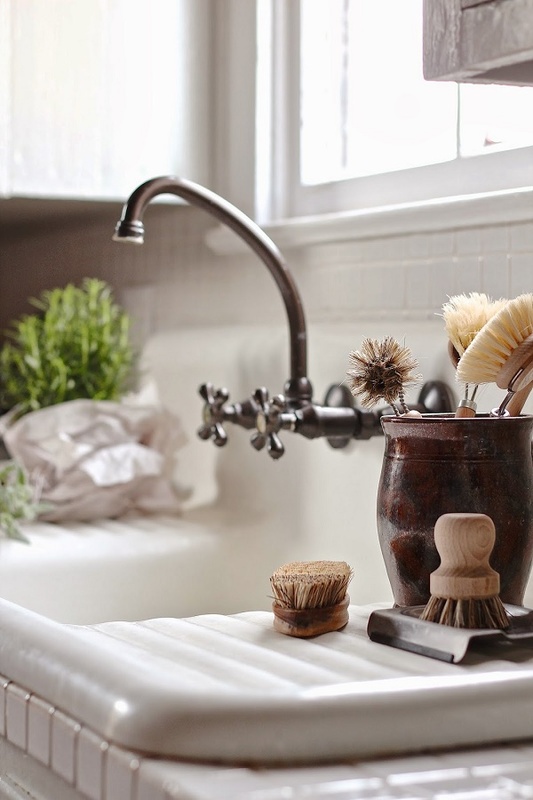 P.P.S: Plus, all things copper and kitchen sink diaries. I have a lot of stainless steel, but would love to replace the remaining plastic with wood. These look lovely!